Want to plan a unique family weekend? Want to get the kids out in nature? 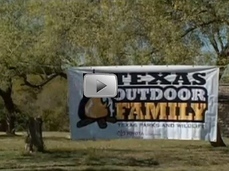 Try something radically different: learn how to camp at a Texas Outdoor Family workshop! The camping experts at TPWD will teach you how to pitch a tent, paddle a canoe, fish, geocache and make that all-important morning coffee! Watch this video to get an idea of what to expect. You bring up to six people per site, your bedding and your food. We provide the rest - including equipment and instruction. The cost is just $65 for one-night workshops and $85/per family for two-night workshops. See the fall workshop schedule and sign up soon to reserve your spot at one of these popular events. Spaces fill up fast! 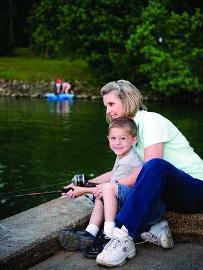 And as you know, fishing is always free in Texas state parks, so plan some time to wet a line. Forgot to pack the fishing gear? Many state parks loan fishing equipment. No need to check the rain gauge when you head to the beach! 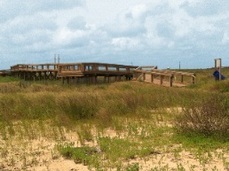 You will always find water for wading, fishing and swimming on the Texas Gulf coast. Read “A Day at the Beach” for an update on each of these park destinations, and find plenty of ways to enjoy a breezy change of scenery in “Get Coastal”, stories from Texas Parks & Wildlife magazine. It’s hot-off-the press - your 2014-2015 State Park Guide with its handy pull-out map of all park locations. 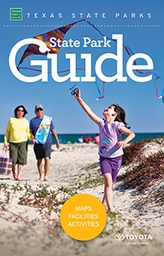 The Guide describes more than 90 state parks and state natural areas and provides details of each park’s accommodations plus available activities such as swimming, fishing, hiking, biking, and horseback riding. You’ll also find what’s new at state parks, including which parks now have Wi-Fi access or have added facilities and trails. Plan your next stay with information about cabins, RV sites, and campsite amenities, and a checklist of what to take with you. Search for parks near you or by region, and use the handy facilities index as a quick reference to what you’ll find at each park. Your State Park Guide is waiting! Pick it up at any state park and stay in the know about all the ways to enjoy the outdoors at your state parks. Can’t wait till your next park trip to see what’s new? View the digital version or download the PDF. The 2014 State Park Guide is made possible thanks to the sponsorship of Toyota and La Quinta and the generous support of advertisers. An estimated 8 in 10 Americans have never seen the Milky Way. The culprit: the growing glow of artificial lights. To see those famous big, bright Texas stars, you’ve gotta get away from the city lights. The new Dark Skies Program will put stars back in your eyes and the eyes of your kids. Skies are always darker in a state park, and some state parks specialize in stargazing by offering stargazing programs and nearby observatories or very dark skies. 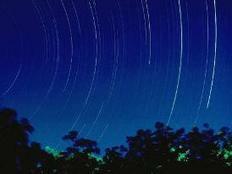 Check the calendar for star events near you and see the dark sky (called Bortle) ratings of the darkest state parks. Soon you can see even more stars at state parks. TPWD is launching new efforts to make park skies more visible by using the latest ways to manage night lighting so that it’s useful without adding to light pollution.